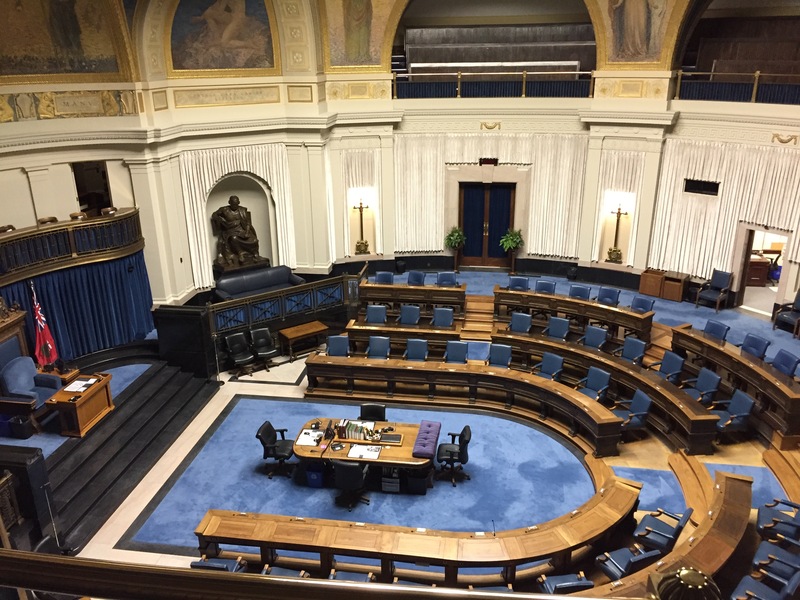 Evan Hunter, Republic Architecture Inc. 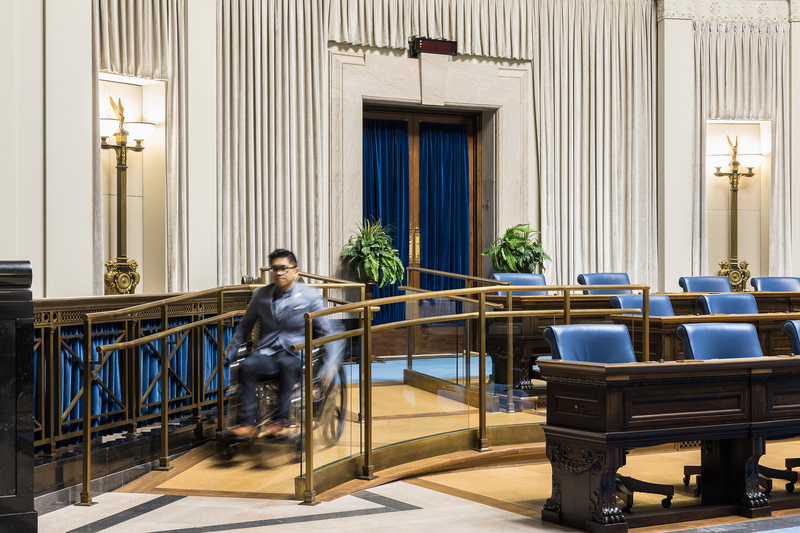 The Manitoba Legislative Building’s Chamber was in need of dignified access for Legislative Members and other users with mobility constraints. Until 2017 it was not possible for a person with a disability to serve in such key roles as Premier, Speaker, senior minister, or Leader of the Opposition, without barriers to access. From February 2017 to November 2017, Republic Architecture Inc. was the Architect/Prime Consultant for the restoration and accessibility upgrades, raising the Chamber floor two and a half feet and incorporating a discreet ramp—allowing for the full accessibility of the entire Manitoba Legislative Chamber. 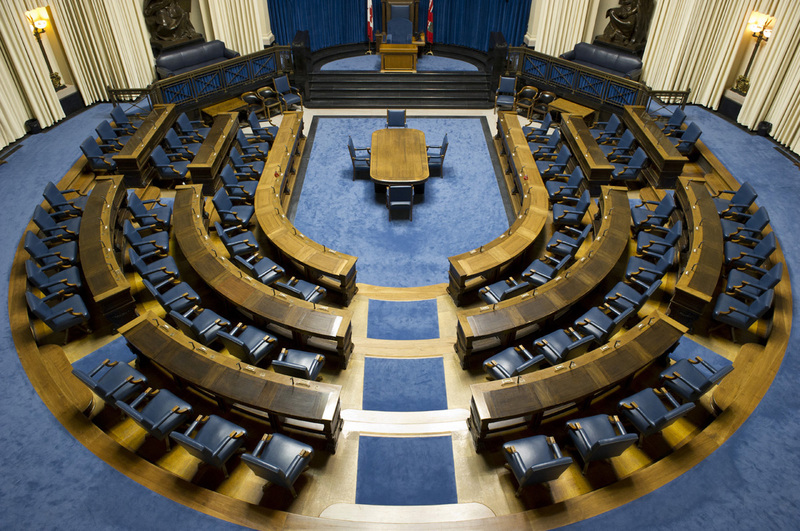 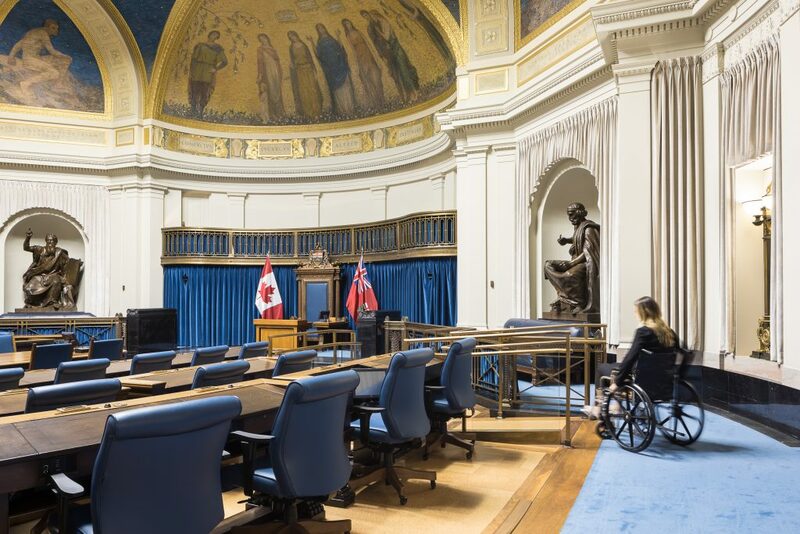 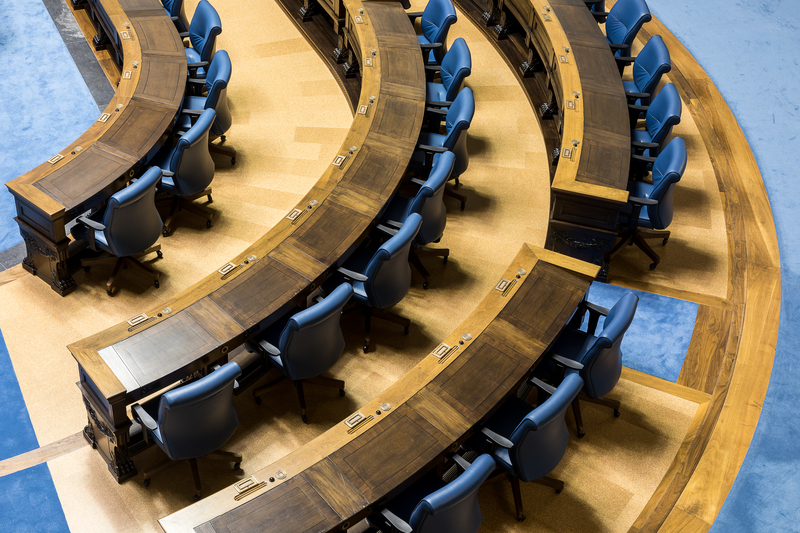 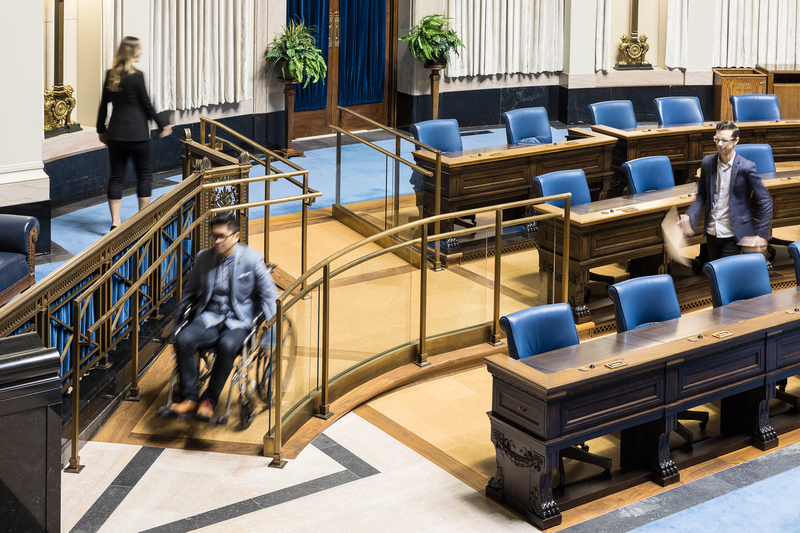 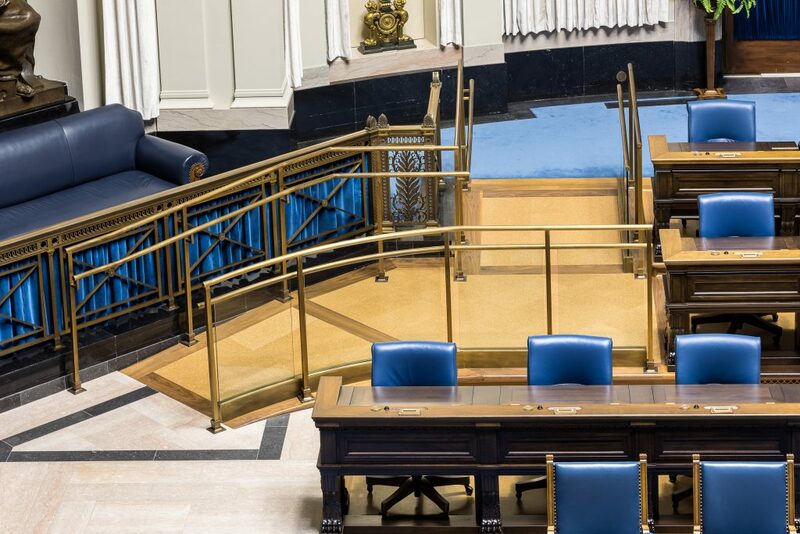 The project sensitively adapted the Chamber, granting its continuing use as the heart of Manitoba’s democratic process by allowing barrier-free access. 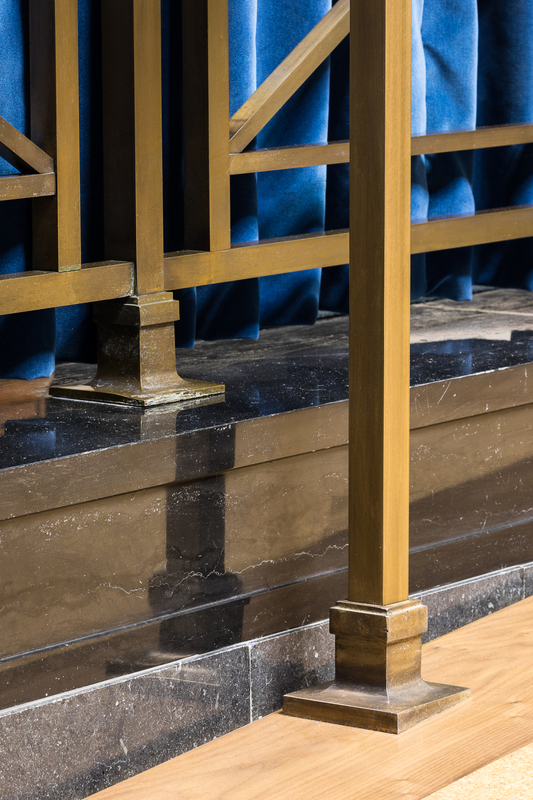 This was accomplished while preserving the space’s significant heritage value and character-defining elements through a bold but subtle alteration that is visually compatible with the heritage space and is also fully reversible.